Introduction: Since the very first day the Calcutta TE DC was introduced anglers have been requesting a low profile baitcaster with the same technology. Shimano did better than that, and the new Calais DC not only pairs a low profile baitcaster with digital cast control but makes use of Shimano�s much improved next generation circuit. 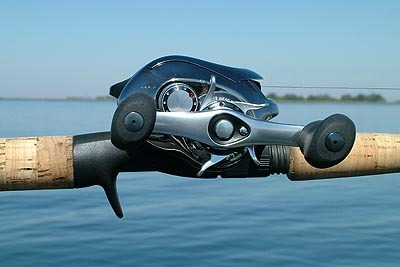 Impressions: Shimano has proven itself time and time again when it comes to sophisticated engineering. In terms of technology they showed just how far advanced they were with the introduction of the Calcutta TE DC. Since then we�ve all known it was just a matter of time before the technology made its way into a low profile baitcaster. 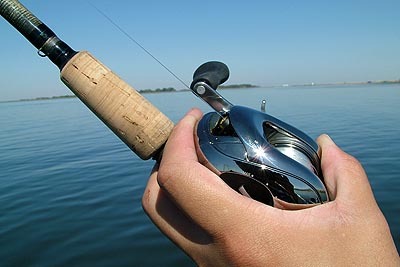 This year at ICAST Shimano integrated the proven technology into their flagship Calais line. 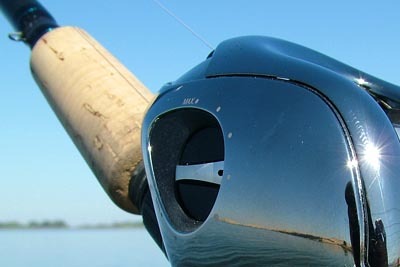 Most of us expected this would happen, but few of us in the media predicted the company to one up the technology with further refinement�after all it was already a feat in itself to integrate the cast control system into a low profile reel. 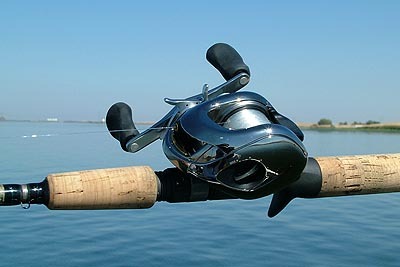 Born from necessity, Shimano saw drawbacks in both centrifugal and magnetic cast control design. Magnetic systems often lack true freespool settings, and centrifugal systems require time to adjust�.time better spent casting and retrieving. 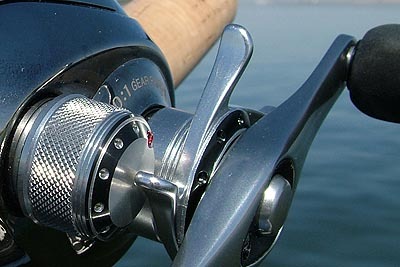 The original Calcutta TE DC addressed these issues with eight different pre-programmed braking patterns, giving anglers longer casts and fewer backlashes, and the ability to make changes with a quick click of the knob. When the Calcutta TE DC was released there was a fair share of skeptics, and the biggest concerns were not about performance, but rather about long term durability. 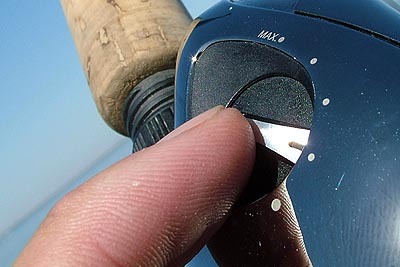 These concerns over resilience of the electronics were quickly replaced with admiration for the original reel, as anglers grew to trust the waterproof digital control system. The circuit rarely (if ever) failed in the field, and our test reel was even deliberately dunked in saltwater�.yet continues to function flawlessly today. The circuit recharges itself with each and every cast, making the circuit maintenance free. Reels with conventional systems (magnetic or centrifugal) usually reach 15,000 to 20,000 RPM. With the original circuit the Calcutta TE DC was achieving 30,000 RPM, which represented a 50-70% increase in rotation. 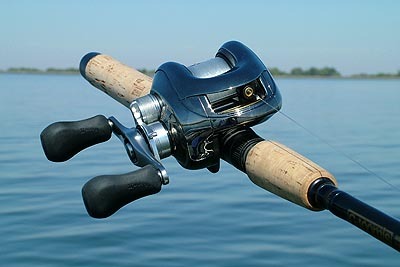 While this technology is still considered cutting edge, the team at Shimano still felt there was room for improvement. So rather than just shove the original circuit into the Calais they spent the last year and a half improving the system that would ultimately find its way into the final reel. 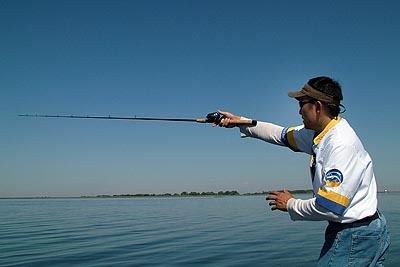 Matching the cast control system with the applications most fished with a low profile baitcaster proved to be a major undertaking, but the team at Shimano was up for the task.